The Randolf flash puppet was created for an animation project called Randolf the Great. This project was both a collaboration and learning experience to create professional puppets for use in a pipeline setting. The main rig, Randolf, is also to be used as a base for various other characters with minimal editing. 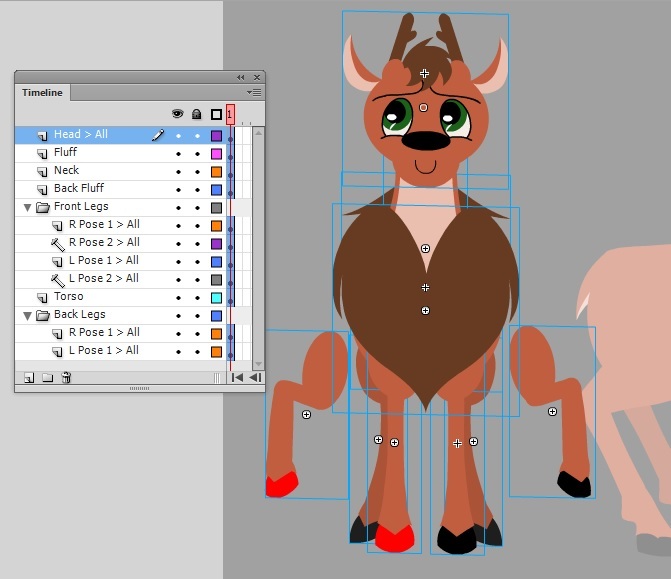 Using the concept provided by Meghan Maxwell, Randolf was created into several vector pieces that would also become the model sheet. During this phase, editing on the final design took place, so the vector image does not align precisely to the original concept. The comparison to the right shows the changes to the final design. This rig required the swapping of parts for a unique style animation. Each piece is split into individual graphics - or Flash symbols for animation. They're put into a layered hierarchy to simulate depth. Several of these symbols are complex graphic for swapping. What this means is inside a symbol are other graphics, similar to how a nesting doll works with one inside of another. Below and to the left are examples of the layering system and various parts visually laid out for swapping. 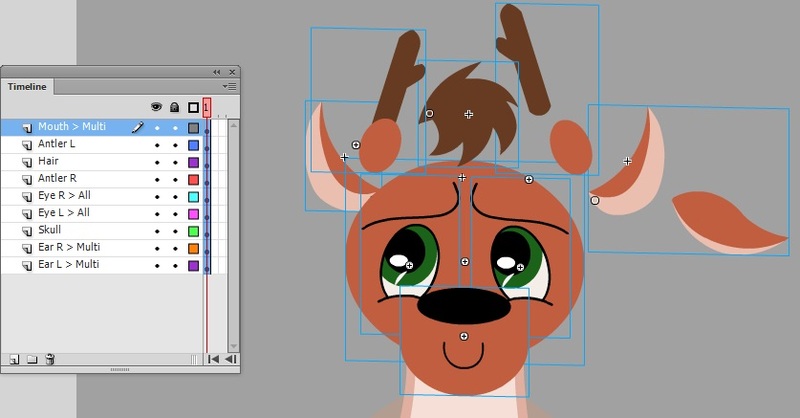 Because of the way this character is being animated, the complexity of the face is very important. Each part has several, swappable components. The eyes even have specific masking within its own symbol. To the right shows the various eyebrows available. Below that is a visual representation of the masking of the eyeballs. Randolf is composed of more than one view. Within the project is the front, profile, 3/4ths, and back view. Each rig also contains many parts for each symbol, all labeled and swappable. On the left is the library for the entire project with the 3/4ths view expanded. 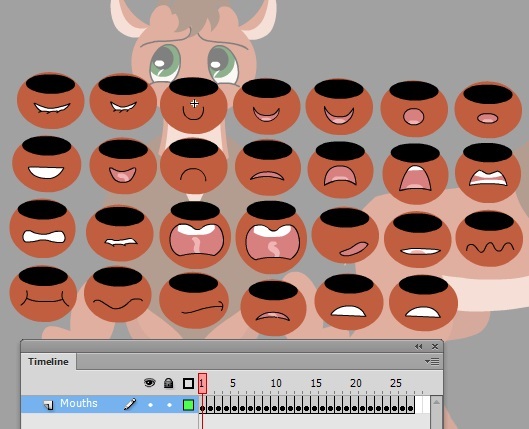 Below shows all the available mouths, each its own graphic and able to be individually animated for each part inside. To the right is an animated view of all the mouths available for the profile view. With all the parts complete, the only thing left is to test the parts with some animation. This allows for tweaking and pivot editing.